Mathematically speaking, the complexity of the human brain and the unstable nature of turbulence really aren’t all that different. In fact, in spite of their peculiarities, the analysis techniques are very similar for these nonlinear dynamical systems. Lennaert van Veen, PhD, Associate Professor and Graduate Program Director of Modelling and Computational Science in the Faculty of Science, explores the application of dynamical systems theory to complex phenomena and high-dimensional chaos. A Project Leader with UOIT’s Collective Lab for Applied and Interdisciplinary Mathematics (CLAIM), his latest research focuses on transitions and pattern formation in physical and physiological systems with applications in fluid turbulence, as well as cortical dynamics of depression, both of which have been poorly understood. Dr. van Veen is investigating ways to model the human cortex and develop novel computational techniques for turbulence. His research will expand the knowledge of how these systems function, and feed into research to develop advanced techniques for minimizing turbulence, as well as create novel strategies for less invasive brain control, with the ultimate goal of curing brain disorders. He completed his Master of Science in Theoretical Physics at the University of Amsterdam, and received his Doctorate in Applied Mathematics at the Utrecht University and the Royal Dutch Meteorological Institute in Bilt, Netherlands. Subsequently, he was awarded successive post-doctoral fellowships by the Japan Society for the Promotion of Science, and the Australian Research Council Centre of Excellence for Mathematics and Statistics of Complex Systems. In 2007, Dr. van Veen was appointed Assistant Professor in the Department of Mathematics and Statistics at Concordia University in Montréal, Québec, and continued to serve as an Adjunct Assistant Professor until 2011. Broadening his international teaching experience, he was named a Researcher in Residence for the Research Experiences for Undergraduates program at the Rochester Institute of Technology in New York, and taught in the Geophysical Fluid Dynamics program of the Woods Hole Oceanographic Institution in Massachusetts. He continues to share his expertise via Virtual Researcher on Call (www.vroc.ca), enabling secondary school students to access interviews discussing his research topics. Dr. van Veen was awarded a seven-month fellowship at the Faculty of Engineering Science at Osaka University in Japan. 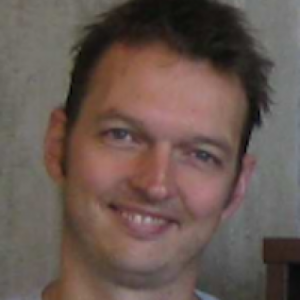 Dr. van Veen is Editor of SIAM's Dynamical Systems magazine. Previously, he served as secretary of SIAM's Activity Group, magazine editor-in-chief and portal editor-in-chief, each for two years. During his two-year fellowship, Dr. van Veen's research examined mathematics and statistics of complex systems. During his two-year fellowship, Dr. van Veen explored research at the National Institute for Fusion Science in Toki, Gifu Prefecture, and the Department of Mechanical Engineering at Kyoto University. dynamics in turbulence and cortical dynamic s in depression, epilepsy and migraines. Both are examined with the tools of computational dynamical systems theory, with an emphasis on spatio-temporal pattern formation. Pseudo-arclength continuation is a well-established method for generating a numerical curve approximating the solution of an underdetermined system of nonlinear equations. It is an inherently sequential predictor-corrector method in which new approximate solutions are extrapolated from previously converged results and then iteratively refined. Convergence of the iterative corrections is guaranteed only for sufficiently small prediction steps. In high-dimensional systems, corrector steps are extremely costly to compute and the prediction step length must be adapted carefully to avoid failed steps or unnecessarily slow progress. We describe a parallel method for adapting the step length employing several predictor-corrector sequences of different step lengths computed concurrently. We consider a continuum model of electrical signals in the human cortex, which takes the form of a system of semilinear, hyperbolic partial differential equations for the inhibitory and excitatory membrane potentials and the synaptic inputs. The coupling of these components is represented by sigmoidal and quadratic nonlinearities. We consider these equations on a square domain with periodic boundary conditions, in the vicinity of the primary transition from a stable equilibrium to time-periodic motion through an equivariant Hopf bifurcation. We compute part of a family of standing wave solutions, emanating from this point. This book provides a broad overview of recent progress in using laboratory experiments and numerical simulations to model atmospheric and oceanic fluid motions. This volume not only surveys novel research topics in laboratory experimentation, but also highlights recent developments in the corresponding computational simulations. As computing power grows exponentially and better numerical codes are developed, the interplay between numerical simulations and laboratory experiments is gaining paramount importance within the scientific community. The lessons learnt from the laboratory-model comparisons in this volume will act as a source of inspiration for the next generation of experiments and simulations. Mean-field models of the mammalian cortex treat this part of the brain as a two-dimensional excitable medium. The electrical potentials, generated by the excitatory and inhibitory neuron populations, are described by nonlinear, coupled, partial differential equations that are known to generate complicated spatio-temporal behaviour. We focus on the model by Liley et al. (Network: Computation in Neural Systems 13 (2002) 67–113). Recent remarkable progress in computing power and numerical analysis is enabling us to fill a gap in the dynamical systems approach to turbulence. A significant advance in this respect has been the numerical discovery of simple invariant sets, such as nonlinear equilibria and periodic solutions, in well-resolved Navier-Stokes flows. This review describes some fundamental and practical aspects of dynamical systems theory for the investigation of turbulence, focusing on recently found invariant solutions and their significance for the dynamical and statistical characterization of low-Reynolds-number turbulent flows. Experiments and simulations lend mounting evidence for the edge state hypothesis on subcritical transition to turbulence, which asserts that simple states of fluid motion mediate between laminar and turbulent shear flow as their stable manifolds separate the two in state space. In this Letter we describe flows homoclinic to a time-periodic edge state that display the essential properties of turbulent bursting. During a burst, vortical structures and the associated energy dissipation are highly localized near the wall, in contrast with the familiar regeneration cycle. Mean-field models (MFMs) of cortical tissue incorporate salient, average features of neural masses in order to model activity at the population level, thereby linking microscopic physiology to macroscopic observations, e.g., with the electroencephalogram (EEG). One of the common aspects of MFM descriptions is the presence of a high-dimensional parameter space capturing neurobiological attributes deemed relevant to the brain dynamics of interest. Recently, a flexible and stable algorithm was introduced for the computation of two-dimensional (2D) unstable manifolds of periodic solutions to systems of ordinary differential equations. The main idea of this approach is to represent orbits in this manifold as the solutions of an appropriate boundary value problem (BVP). The BVP is underdetermined, and a one-parameter family of solutions can be found by means of arclength continuation.